I went for a visit when the guys from the Track, Sea & Party gathered at Rudskogen Motor Speedway today, an event held by Von Braun Sports Cars. As usual when I attend a track event it rained, so the photos are a bit dark. Marius drove the GT2, so I tagged along with him. When we were leaving for Fredrikstad, he complained that the GT2 didn’t notice that he removed the key any more. A bit of checking on the intarwebs when we got home revealed that this was a common problem, and after a bit of checking around, the incredible guys over at Autozentrum in Oslo got him the part, late at friday’s night, the evening before the national day. That’s simply an awesome customer service, so if you ask where you’re going to buy your next Porsche, you know who you should call (give the guys at Autotuning Råde a call too, tho). Anyways, here are a few selected shots from today. 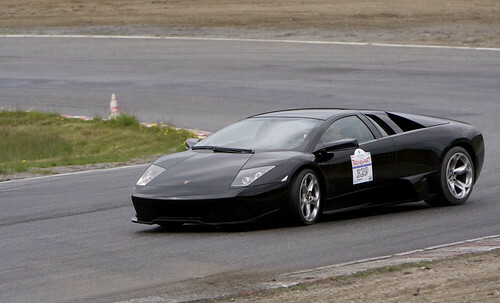 Get all the shots of the Lamborghini Gallardo Superleggera, the LP640, the Porsches and the Ferraris at my flickr page.